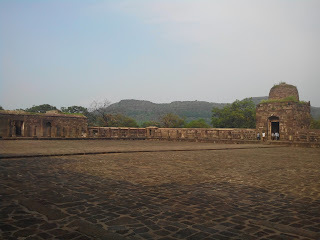 People who are breifly familiar with the history of Deccan or that of the Delhi Sultanate, would easily recall this famous name - Deogiri, a.k.a. 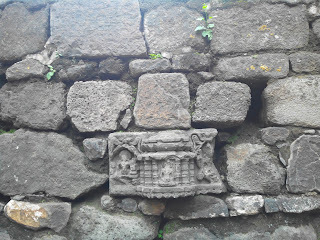 Daulatabad. 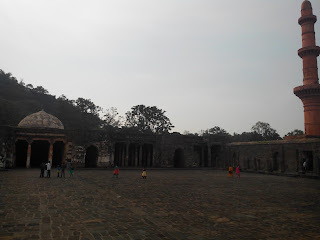 The quirky Sultan Mohammad bin-Tughlaq forcibly moved the capital here from Delhi in 1327, only to move it back to Delhi later in 1351. This quirk was dictated by a logic that Deogiri was located closer to the centre of the Sultanate and would be well insulated in case of attacks from across the Indus. However, the place lacked an important artefact - water - and that necessitated the return of the Sultan. This quirky tale, somehow assumes significance in today's narration as most of Maharashtra faces a severe drought. One can easily inferr that scouting for water, and/or proper planning for irrigation before moving could have offered a better result for the Sultan, saving the logistics of moving the capital twice and in turn, a saving-grace for his legacy. One can also infer that adequate preparation and planning - irrigation, crop patterns, market availability - could have lessened the impact of the deficit monsoon this year. But, alas, what good is history if we could learn anything from it? Keep it to the textbooks. Anyway, don't want to digress here anymore. 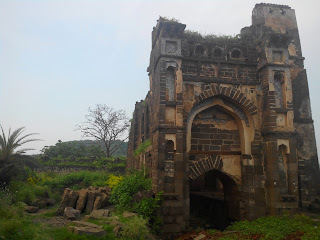 Deogiri-Daulatabad was an impromptu trip the day after we had hastily abandoned Lonar midway and came to Aurangabad. I had Tejal for company. We had earlier visited Ellora in the first half of the day, skipped Ghrishneshwar and finally arrived at Daulatabad by 3:30pm. The fort was wrapped up by sunset. 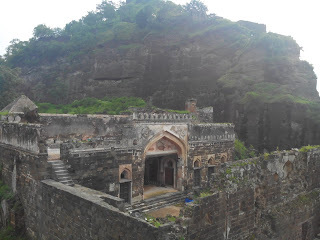 Daulatabad is located close approximately midway between Aurangabad city and the Ellora Caves; about 15km from either place. 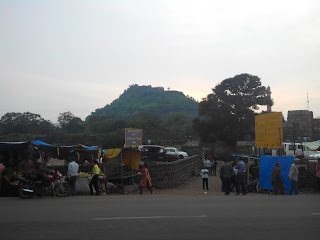 Buses from Aurangabad to Ellora, Chalisgaon and Kannad pass through Daulatabad town. Local jeeps are also available. The fort entrance is located at about 5mins walk from the town centre. Aurangabad can be accessed by Train or Bus from Mumbai. There's a daily Shivneri (A/C Seater) service too. The Archeological Society Of India maintains this fort. Entry charges are Rs.5 for Indians. The fort gates close at sunset. Small eateries are present outside the fort gate. None inside the fort. Pack up enough water as this seemingly easy monument is a small trek in itself. 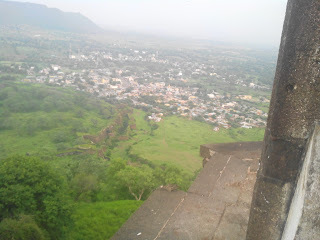 The fort, when seen from a bird's-eye-view, can be separated into four sections: the outer wall, the inner wall, the andhari and the main fort. 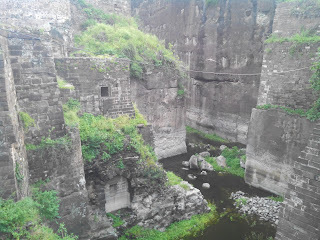 The outer wall surrounds the fort and most of the Daulatabad town. 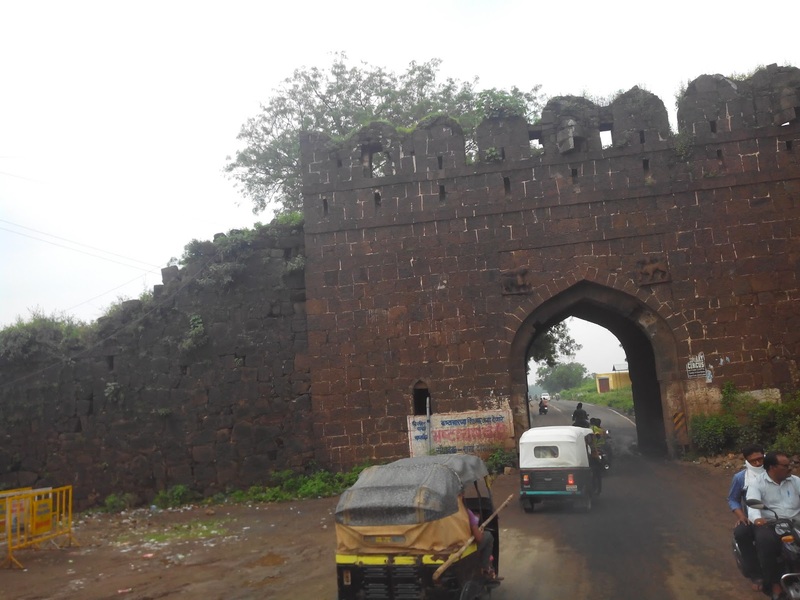 The main highway connecting Aurangabad and Kannad passes through archways on the east and the north. Similar archways would be in place for other roads. The inner wall is what is today used as a point of entry for the fort. One passes three fortified gates in quick succession. Here, the ASI has showcased some of the smaller cannons and portable howitzers found on the fort. The craftsmanship deserves a closer look. 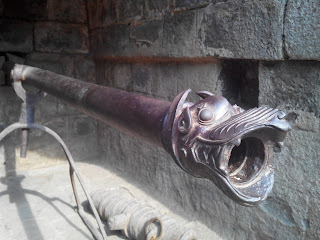 The better of the cannons, Mendha (ram) and Durga, are located inside the main fort. Oh yes ... a cowboy! Inside the third gate one sees the huge Hatti Talab and Bharatmata Mosque Temple on the left. 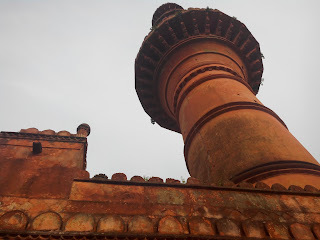 Chand Minar is located opposite to the Bharatamata Temple on the right and can be easily spotted from a distance. The only toilet on the fort is located about 50ft from the Bharatmata Temple. The road winds through a narrow passage to lead to the second fortification. Here one can see a few buildings under renovation - one of which has extensive porcelain work. 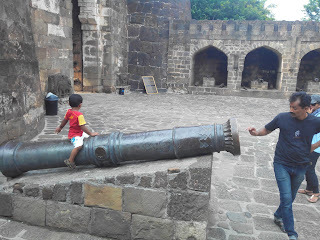 A bastion here houses the Mendha (ram) cannon and has a commanding view of the inner periphery of the fort. After this section, one has to cross a small bridge across the 40m. deep moat. The moat was supposed to be filled with water teeming with crocodiles. The older drawbridge has now been dismantled and replaced with a permanent bridge. We cross another door here to enter into what is perhaps the most complex security feature of this fort - the andhari (dark pass). This long, narrow, winding tunnel takes one from the lower gate to the higher gate. A person traversing the andhari was purely at the mercy of the people at the higher gate, lest hot oil, arrow spikes, stones, fire be thrown on him. A light-bulb simplifies this section a little bit. An alternate climbing route is provided today for claustrophobics. After this starts the long climb to the top. First landmark is the Ganesh Temple. Then one has to reach up to the higher fortification. 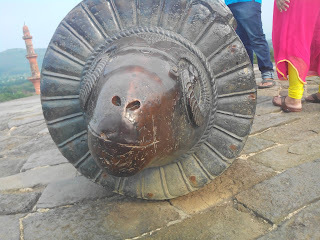 The palace comes next, followed by further fortification that houses the Durga cannon. 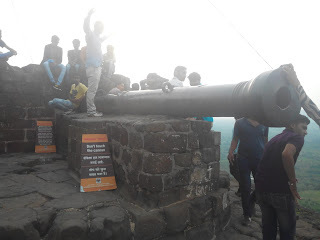 This is the highest point of the fort and provides commanding views easily extending to the Aurangabad city on a moderately clear day. We finished the fort by about 6:30pm. We took a shared jeep that dropped us at the outskirts of Aurangabad where we had more than an hour to spare before we caught our train back to Mumbai. the best time to visit this fort would be around monsoon, when the moat would have some water and the greenery would make everything about life seems that little bit nicer. Great to revisit the fort through your pics.